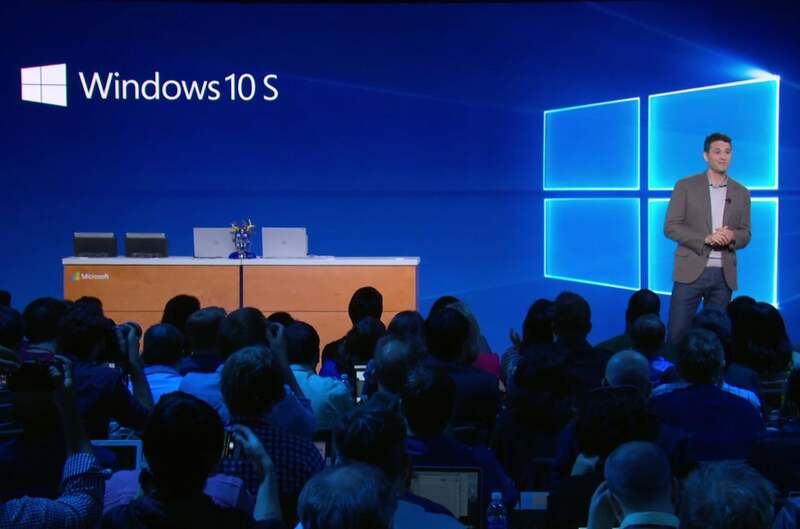 Windows 10 'S' will be free to all students and teachers. Don’t call it a comeback—because it isn’t quite. While Windows 10 S, Microsoft’s new education-focused version of Windows, bears striking resemblance to the disastrous Windows RT, this Chrome OS competitor harbors key differences that make it more useful. 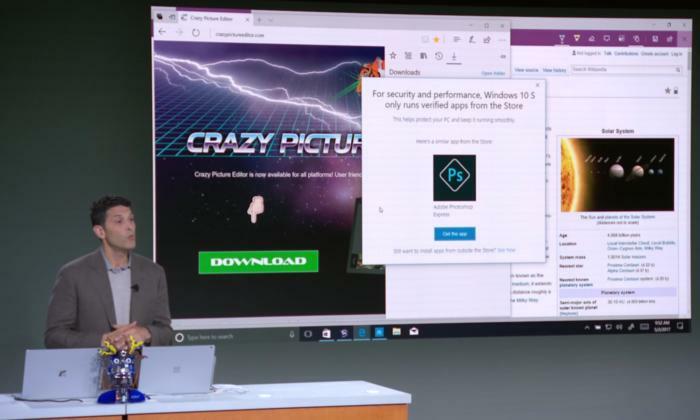 Like Windows RT, Windows 10 S restricts users to Windows Store apps alone. Wait! Don’t run away yet! This time it’s for an actual reason. Windows Store apps use less battery life and are inherently more manageable than traditional desktop apps, which can hook deep into the operating system and spawn tons of messy processes. Apps from Microsoft’s walled garden are also screened for security and performance, and each Windows Store app runs in a secure container that doesn’t interfere with the rest of the operating system—making logins on the last day of school as seamless as the first day, Myerson says. And those logins should all take under 5 seconds. In other words, the Windows Store limitation is intended to ease potential headaches for teachers and admins—and maybe push Windows Store apps into the limelight after their lackluster first few years. “Technology should make teachers’ lives simpler and spark student creativity, not distract from it,” Microsoft CEO Satya Nadella said. 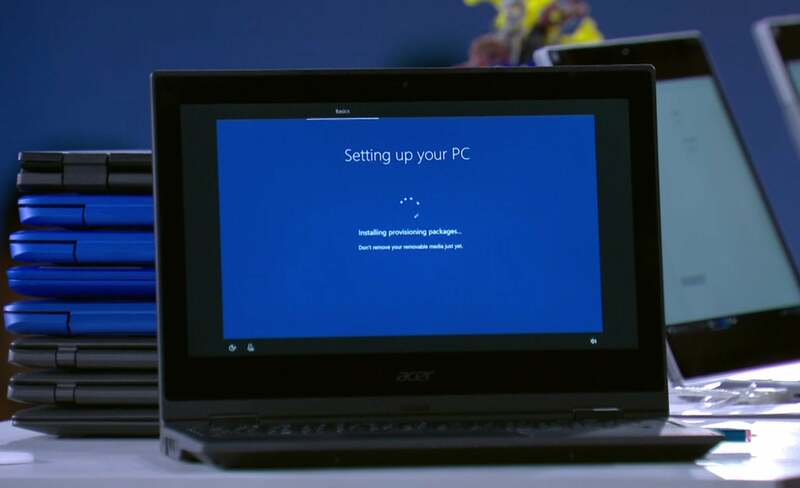 Microsoft’s bolstering Windows 10 S with a Windows Intune Education tool that allows you to configure a system image using a wizard, then slap it on a USB key that can be used to installed that customized version of Windows 10 S on any PC in under 30 seconds. That’s fast deployment. Myerson said a school in Colorado set up over 600 laptops in a single day using 30 of these Windows 10 S USB sticks. Software support’s a key part of educational computers as well. Microsoft’s tossing in a free one-year subscription to Minecraft: Education Edition with Windows 10 S laptops, and making Office 365 for Education free to schools. 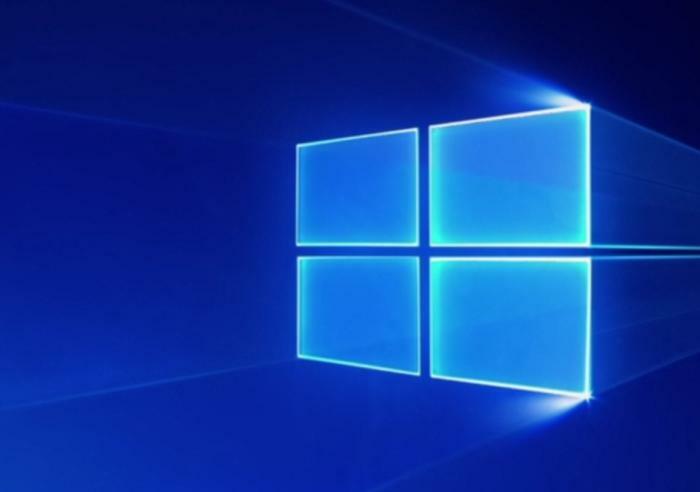 In addition, any current Windows 10 Pro PC being used by a school can be flashed to Windows 10 S for free. Microsoft’s also adding classroom-focused capabilities to Microsoft Teams. Windows 10 S is basically a more restricted version of Windows 10, and it’ll run on all the same hardware as the full version. Look for PC vendors like Dell, HP, Acer, Asus, and more to roll out Windows 10 S laptops this summer for as little as $189.